Jupiter’s moon Europa is a promising place to search for evidence of alien life. New research provides insights on what might be the best – and easiest – way to search. 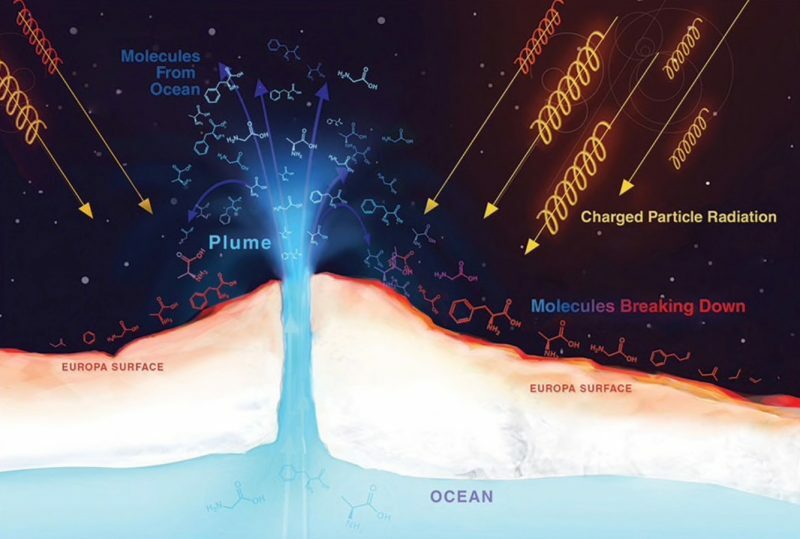 Artist’s concept of a plume from Europa’s subsurface ocean. Radiation from space has the potential to destroy organic molecules that have made their way via plumes like this one to the surface of Europa. New research now shows scientists where to look for such organics. Image via NASA/JPL-Caltech. When it comes to the question of what places in the solar system would be the best to search for alien life, Europa immediately comes to mind. This small moon of Jupiter seems to have everything necessary – a global subsurface ocean and likely sources of heat and chemical nutrients on the ocean floor. But looking for evidence isn’t easy; the ocean lies beneath a fairly thick crust of ice, making it difficult to access. That would require drilling through many meters or even several kilometers of ice, depending on the location. But there may be ways around that problem. 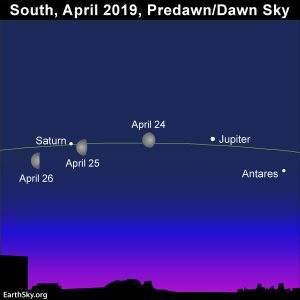 It is almost certain now that plumes of water vapor can erupt from the surface, originating from the ocean below, where they could be sampled and analyzed by a flyby or orbiting probe. 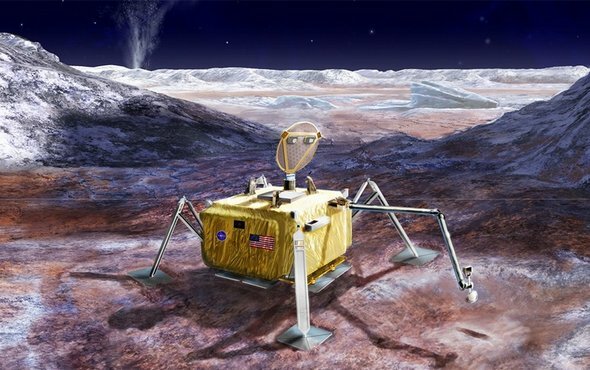 And now there is another potential solution – a new study, described in Space.com on July 23, 2018, shows that a lander on Europa (now in preliminary concept studies) might only have to dig a few inches/centimeters into the ice to search for evidence of active or past biology, such as amino acids. It all depends on radiation, which Europa receives a lot of, from Jupiter. The study, led by NASA scientist Tom Nordheim, modeled the radiation environment on Europa in detail, showing how it varies from location to location. That data was then combined with other data from laboratory experiments documenting how quickly various radiation doses destroy amino acids. Europa as seen by NASA’s Galileo spacecraft. Image via NASA/JPL-Caltech/SETI Institute. The results, published in a new paper in Nature Astronomy, showed that equatorial regions receive about 10 times more radiation dosage than middle or high latitudes. The harshest radiation zones appear as oval-shaped regions, connected at the narrow ends, that cover more than half of Europa. This is the first prediction of radiation levels at each point on Europa’s surface and is important information for future Europa missions. Even in the harshest radiation zones on Europa, you really don’t have to do more than scratch beneath the surface to find material that isn’t heavily modified or damaged by radiation. Artist’s concept of a future lander on Europa. Image via NASA/JPL-Caltech. If we want to understand what’s going on at the surface of Europa and how that links to the ocean underneath, we need to understand the radiation. When we examine materials that have come up from the subsurface, what are we looking at? Does this tell us what is in the ocean, or is this what happened to the materials after they have been radiated? The radiation that bombards Europa’s surface leaves a fingerprint. If we know what that fingerprint looks like, we can better understand the nature of any organics and possible biosignatures that might be detected with future missions, be they spacecraft that fly by or land on Europa. Europa Clipper’s mission team is examining possible orbit paths, and proposed routes pass over many regions of Europa that experience lower levels of radiation. 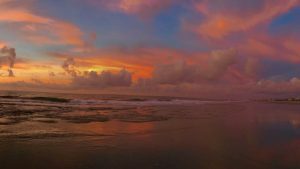 That’s good news for looking at potentially fresh ocean material that has not been heavily modified by the fingerprint of radiation. Data from the Hubble Space Telescope in 2013 showing the location of a water vapor plume. Image via NASA/ESA/L. Roth/SWRI/University of Cologne. 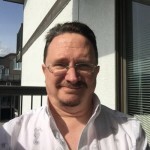 Nordheim and his team used data from the old Galileo mission (1995-2003) and electron measurements from the even older Voyager 1 mission (Jupiter flyby in 1979). When we get the Clipper reconnaissance, the high-resolution images – it’s just going to be a completely different picture. That Clipper reconnaissance is really key. Artist’s concept of the Europa Clipper mission at Europa. Image via NASA. 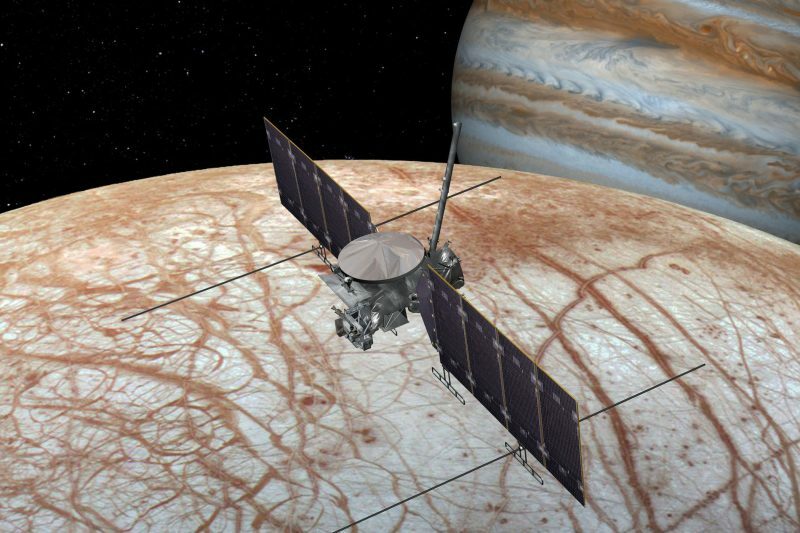 Europa Clipper is tentatively scheduled to launch sometime in the early 2020s, and will be the first mission back to Europa since Galileo. It will perform dozens of close flybys of the moon, studying both the surface and the ocean below. Mission concepts for the lander to follow Europa Clipper are also being devised, using data from Clipper to select a landing spot. Both missions should be able to bring us closer to knowing if any kind of life exists in Europa’s dark ocean. 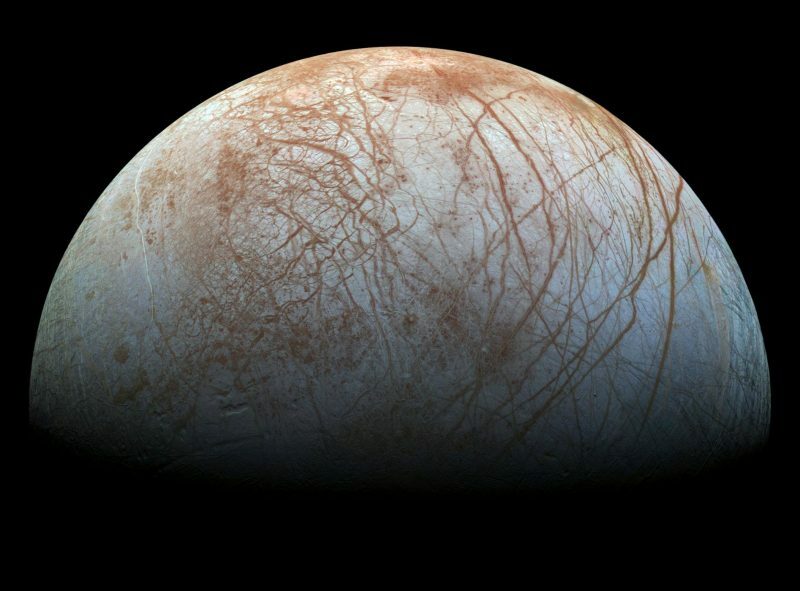 Bottom line: Europa’s subsurface ocean offers the tantalizing possibility of alien life elsewhere in our solar system. Drilling through the thick ice crust on top of it for a sample would be difficult though. But now new research shows that a future lander might only have to “scratch the surface” to access any organic molecules deposited from the ocean below, in areas where there is less radiation exposure. 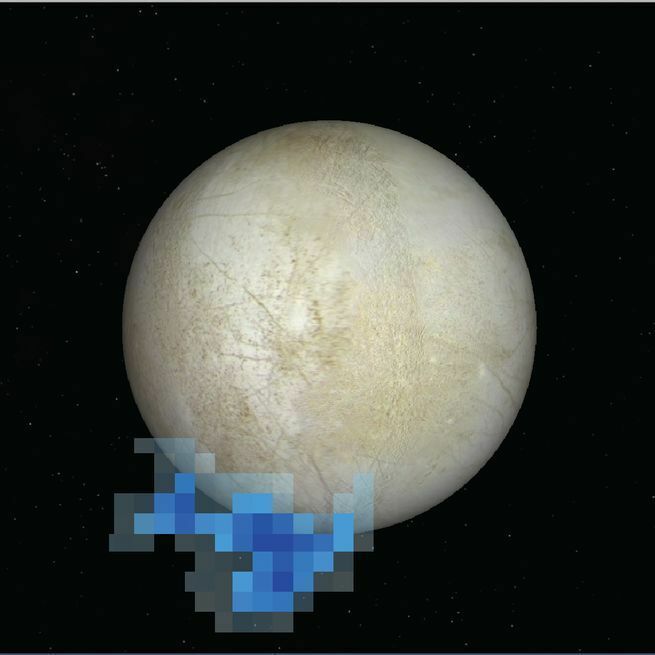 Looking for life on Europa may actually be easier than we thought.